Some years ago when I was trying to feed Bella’s thirst for paintings and to introduce her to some of my favorite artists, I checked out some big coffee-table size books from the library. 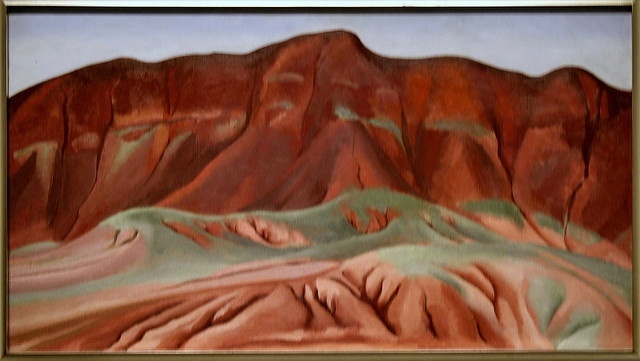 Among them was a volume titled simply Georgia O’Keeffe, which turned out to be a delightful volume which combined her own writings about her work with images of some of the paintings themselves. I loved the insights into how she saw the world. It’s a book I go back to again and again, to drink in the pictures, but also to ponder her words. 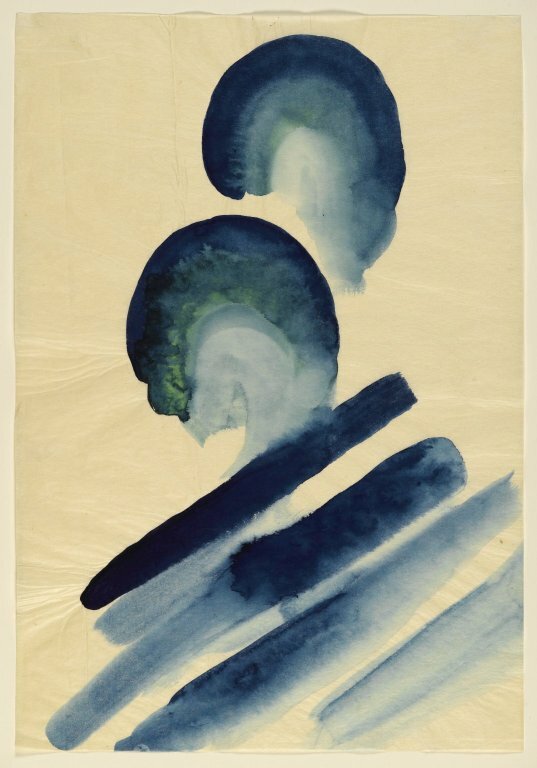 For if her primary language is color and shape, mine is still words, and her insights into the language of painting help me to see more deeply and to ponder what it is that her paintings are doing and saying. The words are a necessary bridge for me. And I thought I might offer them to you, too. 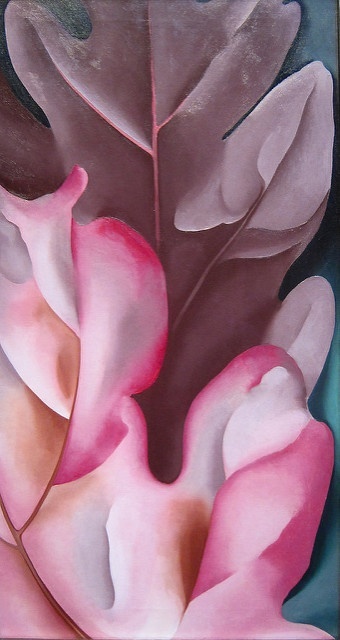 Perhaps these little snippets will help others to find O’Keeffe’s mysteries more approachable. 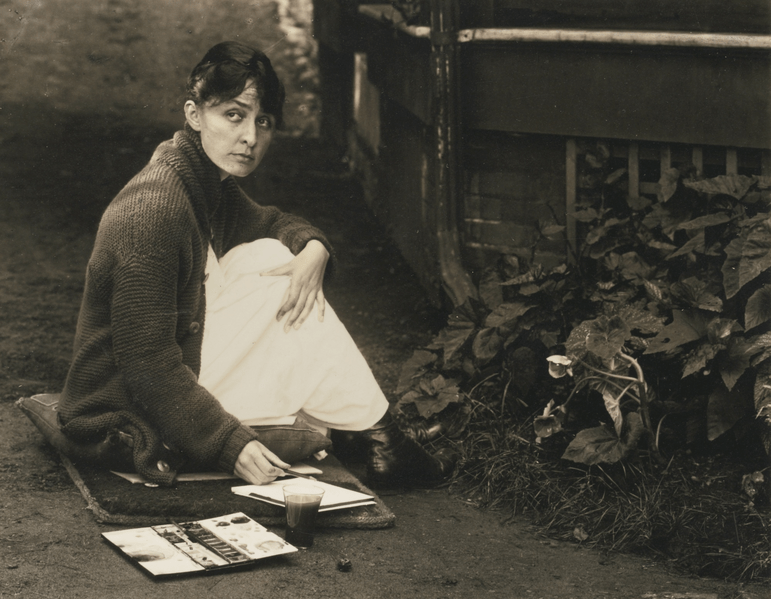 “It was in the fall of 1915 that I first had the idea that what I had been taught was of little value to me except for the use of my materials as a language– charcoal, pencil, pen and ink, watercolor, pastel, and oil. I had become fluent with them when I was so young that they were simply another language that I handled easily. But what to say with them? I had been taught to work like others and after careful thinking I decided that I wasn’t going to spend my life doing what had already been done. 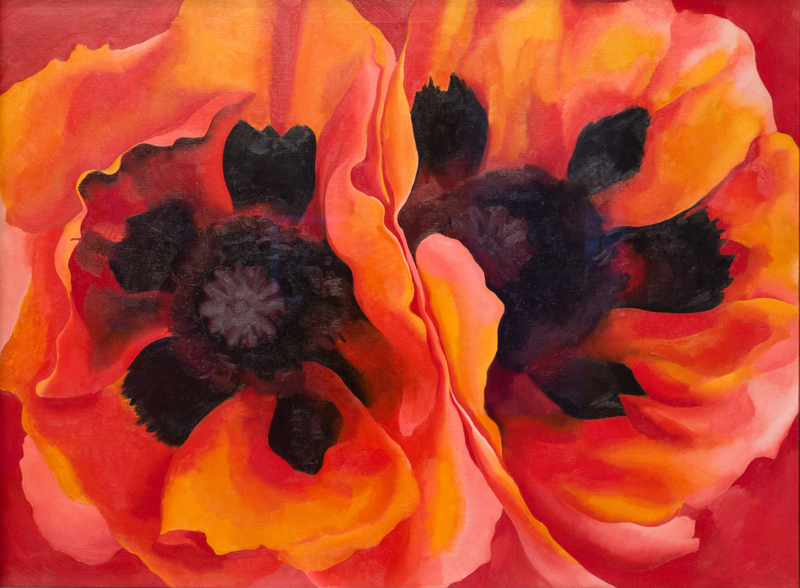 I love that for O’Keeffe the use of her materials is a language, shapes and colors and ideas are the language of her self. I love this idea of returning to the basics, to black and white, charcoal and paper, almost as if to childhood again, to find what she had to say for herself, not to please any teacher or critic or friend. I love peeking into how different creative people work: poets, novelists, painters, sculptors, cooks. How does this mysterious creative self expression work? It’s always a sort of little miracle. Here, my favorite sentence is the final one: “I believe it was June before I needed blue.” That sentence sings. It has poetry in it. It speaks so much in so little space. “A flower is relatively small. 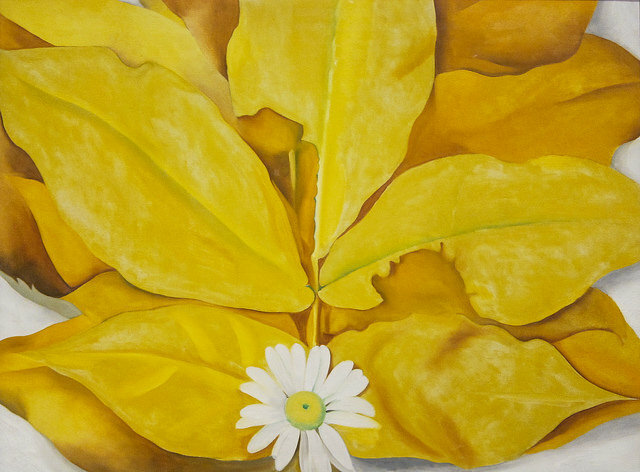 Everyone has many associations with a flower– the idea of flowers. You put out your hand to touch the flower– lean forward to smell it– maybe touch it with your lips almost without thinking– or give it to someone to please them. Still– in a way– nobody sees a flower–really–it is so small–we haven’t time–and to see takes time, like to have a friend takes time. If I could paint the flower exactly as I see it no one would see what I see because I would paint it small like the flower is small. All quotes taken from Georgia O’Keeffe by Georgia O’Keefe, Viking Press 1977. I’m so sorry. I had actually put in a link to the book, but for some reason I don’t understand what posted was an older draft version that didn’t have the link in it. How odd. I’ve restored the draft and hopefully the link is now showing up. Thank you! Sorry I posted the request twice… it didn’t show up on my end the first time. 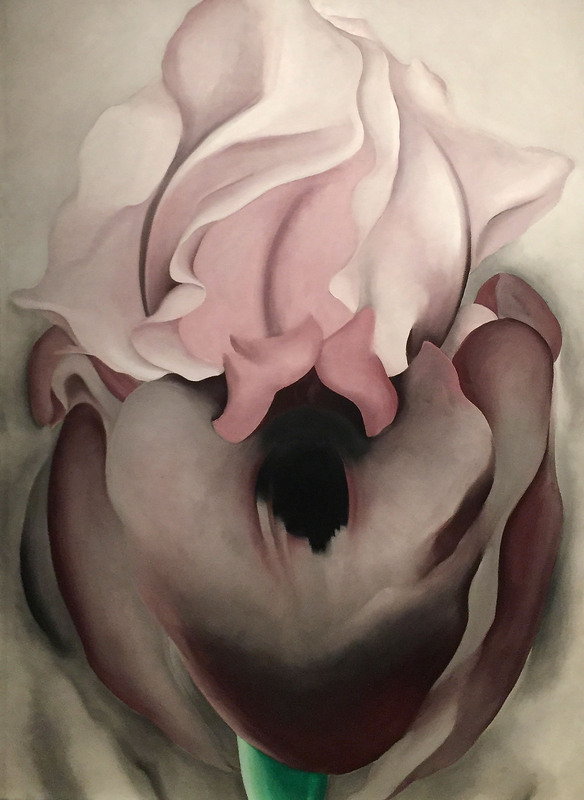 The Title is simply Georgia O’Keeffe and the author is Georgia O’Keefe, published by Viking Press in 1977.